EghtesadOnline: The fate of Iran Air’s post-sanctions contracts with western planemakers depends on European’s reaction to US President Donald Trump’s expected decision to leave the 2016 nuclear deal, an adviser to Iran’s roads minister said. “It is very hard to make predictions about the upcoming conditions, but European’s reaction is the key factor on the fate of these contracts. Planes’ delivery process will face no hurdle if they remain committed to the deal and decide to keep on working with Iran,” Ali Asghar Fakhrieh-Kashan was quoted as saying by ILNA. According to Financial Tribune, Fakhrieh-Kashan believes that Europeans would put pressure on the US so that they could save their commercial ties with Iran. It was reported last week that Iran Air did not furnish the down payments needed for taking delivery of its first Boeing jet, which was expected to take place in April 2018. 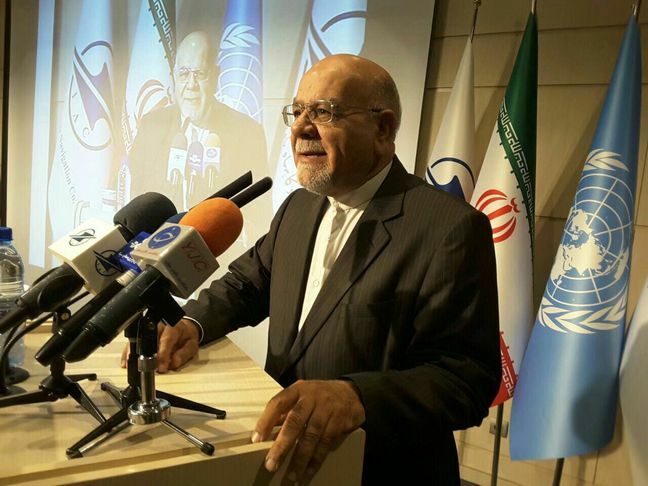 However, Fakhrieh-Kashan brushed aside the report, blaming foreign banks’ hesitation in issuing guarantees as the main reason behind the delay. “Iran Air had prepared the down payment for its first Boeing jet, with a short delay but not later than what was agreed in the contract,” he said. The advisor added that last week, when it was time to issue the guarantee, the lender ordered a halt to the procedure to study the ongoing condition and postponed issuance of the documents to a date later than May 12. As a result, Iran decided not to transact the down payment, in order to keep the risky payments safe from American decisions. Fakhrieh-Kashan emphasized that Iran has taken all the measures needed to keep its resources safe from any reckless move to revive sanctions against the country. The flag carrier has been holding talks with several foreign firms to receive financial resources needed for its massive plane order. But negotiations had failed to yield results due to widespread doubts over the future of Iran’s nuclear deal. “Businesses’ watchfulness [about Iran] is natural, when the US president and the country’s treasury repeatedly call on foreign firms and banks, especially Chinese bank, not to work with Iran,” he said, stressing that Iran is observing international conditions to come up with best measures in line with its interests. Nevertheless, the plane delivery process is ongoing at present. According to Fakhrieh-Kashan, Iran might start negotiations with Boeing to receive some aircraft earlier than expected. Airbus is also expected to deliver two or three jets to Iran by the end of the year, though talks are still underway over the possible impact of sanctions’ revival on the company’s after-sales services to Iran. Iran Air’s contract with the Franco-Italian planemaker ATR is smoothly making progress. Two more ATR 72-600 turboprops are expected to land in Tehran in the next few weeks.